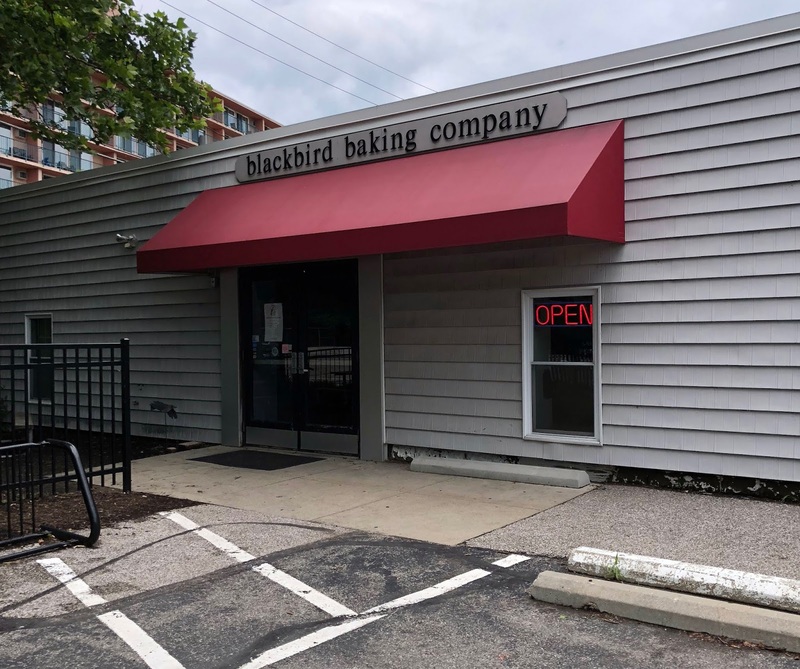 How have I never stopped in to the Blackbird Baking Company's retail location in Lakewood before? I've enjoyed their products for years, since many area restaurants and retailers sell them. But, I finally stopped in there for myself, and I'm just glad that I don't live closer because everything we picked up there was simply fabulous. 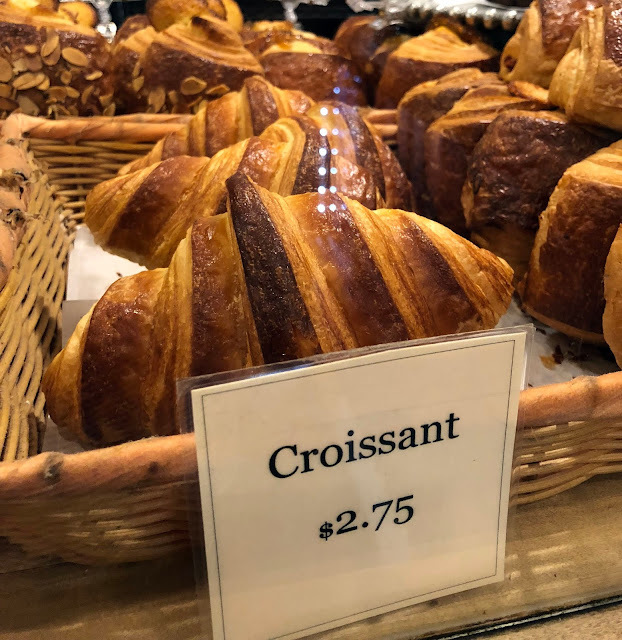 We snagged two Croissants, and then made egg sandwiches on them the next morning. Buttery, flakey heaven. Mr. H also ordered a Chocolate Chip Cookie, and I'm still mad days later that I only had two bites. I'll be dreaming about that soft, gooey cookie for a while. The Ironwood Cafe in Westlake has been around for quite a while, but with Chef Lloyd Foust now at the kitchen's helm, the menu is seeing big changes. First thing to note, you don't enter the bar/restaurant through the front door. The main entrance is around the right side of the building, which can be accessed from a sidewalk from the front or through this super cute breezeway between the large parking lot and The Copper Cup next door. I immediately got a peek at Ironwood's patio, and it was a perfect night to be out there. We settled in on the patio, and started to look at the menu. 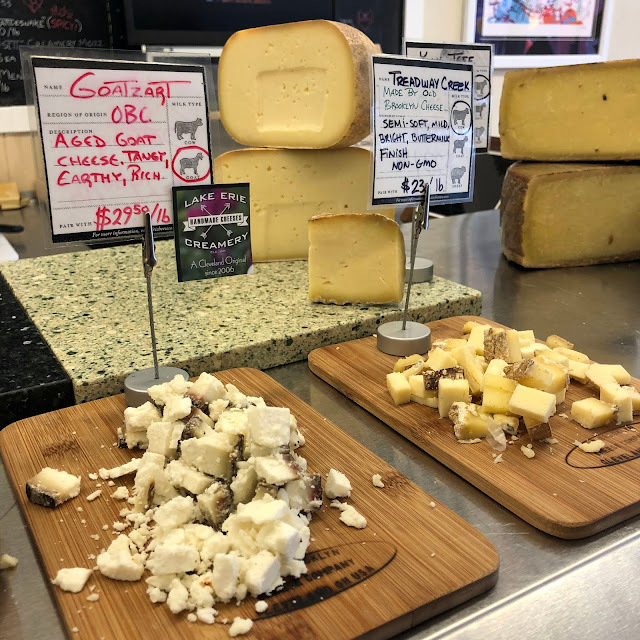 It's classic bar food kicked up a notch, and now incorporating in some products from local farms and producers, like Oberlin Food Hub, Ohio City Farm, Green City Growers, Ohio City Pasta, and more. There are your standard classics, like Nachos, Wings, Quesadilla, Chili, Classic Cheeseburger, BBQ Chicken Wrap, and Philly Cheesesteak. But, you'll also find some elevated bar food like Lettuce Wrap, Smoked Pork Salad, Salmon Burger, Cuban, and Fettucini. Chef Lloyd is also running daily specials that fall under the more unique category, like Mussels with a Pear and Orange Broth, Italian Sausage Po' Boy, and a Short Rib Melt. We zeroed in on two of the more unusual menu options, the Mozz Burger (a special) with bibb lettuce, mint pistou, mozzarella sticks, and a fire roasted pepper aioli. The aioli gave it quite a fun kick of heat, and man are those house cut fries so good! Do yourself a favor and order a side of the Garlic Aioli featured with the Fries on the starters section of the menu. I ordered the Fried Bologna Sandwich ($12) with American cheese, spicy pickles, and a paprika leek aioli on sourdough. Apparently I had selected one of Chef Lloyd's personal favorites, and we can see why. Mr. H said it was a "damn good sandwich" and one that "is worth driving there just for that." So I'd say the dish was a hit for us. Although it didn't seem to be currently functional, any bar with a Skee-Ball machine gets instant points with me! The inside is large and has a classic bar feel to it, but the patio garden is where you'll want to be this summer. Lucky for us, Ironwood is right on the border of Bay Village and my in-laws live just miles away. I can see us heading over there with the family, because this is totally a family-friendly place too. They even have a Kids Menu. Follow along on Instagram for drool-worthy food pictures and features on daily specials. This is one menu shake-up and new approach to bar food that I fully endorse. 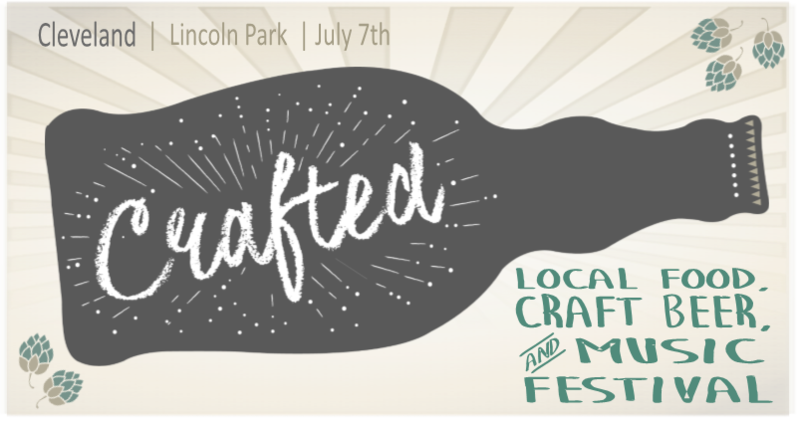 A Farm-to-Table Meets Beer & Music Festival is about to hit Tremont on July 7th in Lincoln Park. 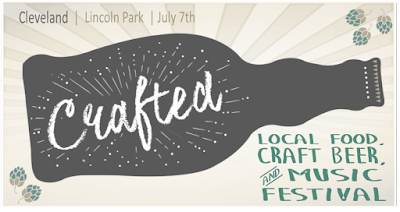 Crafted consists of local food & beer tasting with music by Elementree Livity Project & Doc Robinson. Eat well, drink well and have fun with a portion of the event's proceeds benefiting Hunger Network of Greater Cleveland! Taking place from 2:00PM - 6:00PM, you can sample food from restaurants like Dante, Collision Bend Brewery, Butcher & the Brewer, Tremont Tap House, and more. A $60 General Admission ticket includes 16+ food vouchers and up to 84 oz of beer! And with 38+ craft beers to choose from, as well as 7 participating restaurants offering a variety of artisanal dishes inspired by responsibly sourced meat and fresh local vegetables, there’s a little something for everyone. A $75 VIP ticket gets you reserved seating in the VIP tent. You can purchase tickets here. Or...you can win two tickets by entering the giveaway below. A random winner will be selected on Monday, June 25th. 1. Leave a blog comment below sharing which restaurant from the participating list you most want to try at the event. 3. Like or comment on my Crafted post on Instagram. Disclosure: I was provided with four General Admission tickets in exchange for event coverage. All opinions are 100% my own. Mr. H and I got out to the newly opened Sérénité Restaurant & Culinary Institute in Medina last week. Similar to its sister restaurant, EDWINS in Shaker Square, the mission of Sérénité is to instill leadership skills in men and women recovering from drug and alcohol addiction through an education in the culinary arts. From the outside, the building is eye-catching and historic. 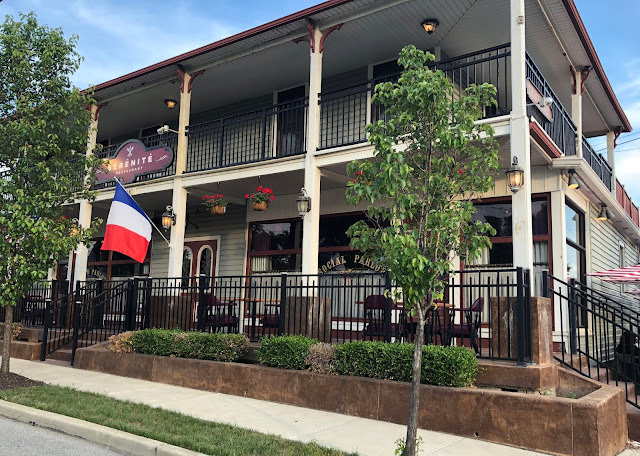 There is a handful of tables on the front porch, and a few patio tables with umbrellas around the right side of the building. There is free parking available in a lot connected to the building. Inside, it reminded me of an old upscale Western saloon. It is very small, so I do suggest getting a reservation. The food is French-influenced, as is EDWINS. We started with the Artichoke a la Barigoulle ($11), which was so good that I immediately headed to Pinterest to see how we could create this at home. Mr. H ordered the Trout Almondine ($25), which was very good and came highly recommended by our server. Trout still remains a bit too "fishy" at times for my taste. But the Whipped Potatoes with it kept me reaching across the table. I was torn between a couple of selections, but went for the Braised Leg of Rabbit ($25) with spinach, grilled polenta, and a Dijon mustard cream sauce. That sauce! It was fabulous. The rabbit was also super tender and just fell off the bone. For only being open since late March, you'd never know it. The service was great from start to finish, the food was just as good as EDWINS, the setting is charming, and the mission of the training program is worth supporting on its own. We don't find ourselves out in Medina very often, but this restaurant will bring us back soon. Mr. H and I are always up for a new adventure to try a place that we haven't been to before. We do our research, rely on word of mouth, and most of the time have great dining experiences. Sometimes, though, a recommendation falls flat. This time, it did. ...but inside, it does have an old-world charm and is filled with what I assume are photographs from family travels to Italy. 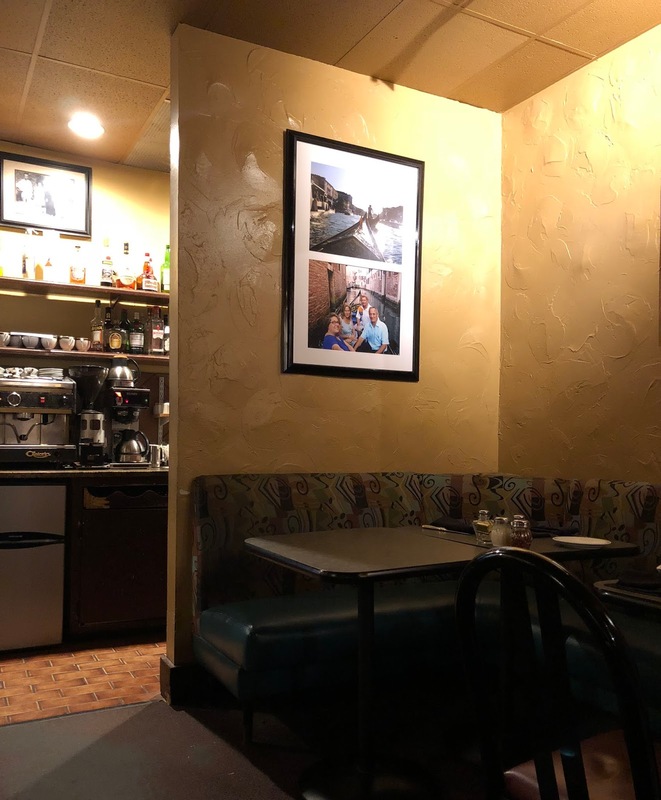 The dining room is small, seating around 40 diners, and the kitchen is what faces the only windows in the space, which is unusual. For a Tuesday night, the place was packed! This was a good sign. Right? 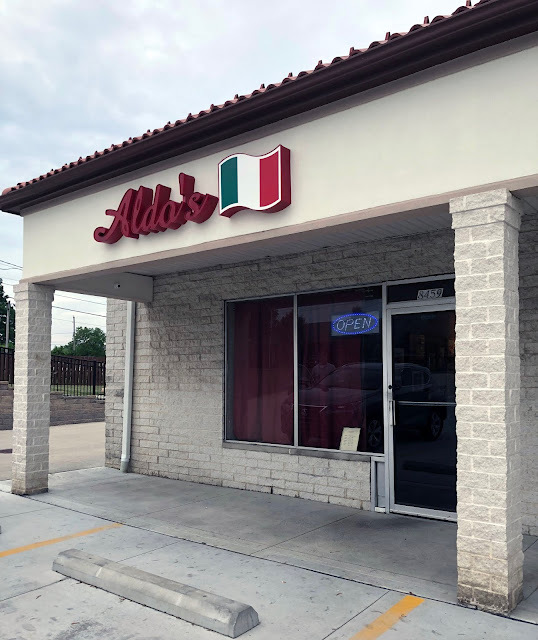 We had wonderful service throughout the meal, and there was a certain charm to the whole place. But, the food fell flat for us. 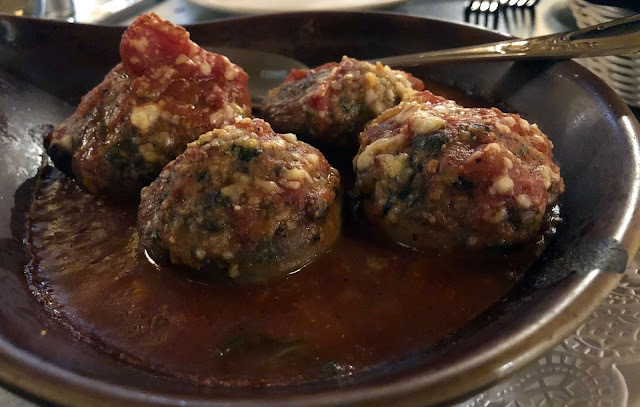 We started with the Stuffed Mushrooms, filled with sausage, spinach, and cheese in a marinara sauce. They came out piping hot, and ended up being the best dish we ordered. But still not memorable. The bread service also came at this time, and it was fresh out of the oven. It was really great bread! Then the meal went downhill for us. The entrees all come with a salad. 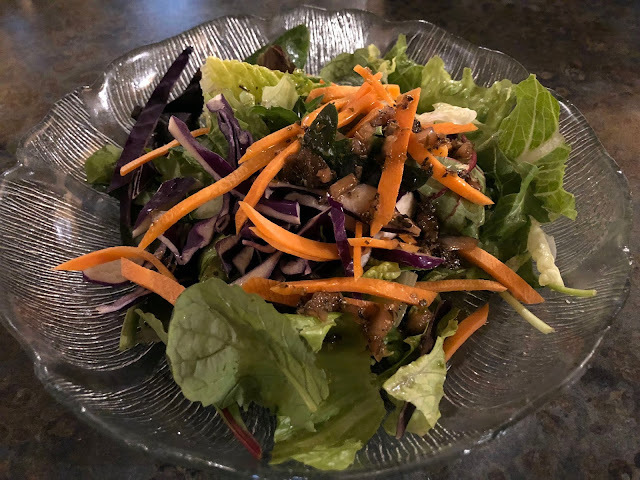 No dressing options were offered, and a sad little salad with tough greens, too much cabbage, and a house dressing that didn't light my fire arrived. I left most of it on the plate. Mr. H ordered the Lasagna, which was certainly fine, but not noteworthy and the portion was on the small side. 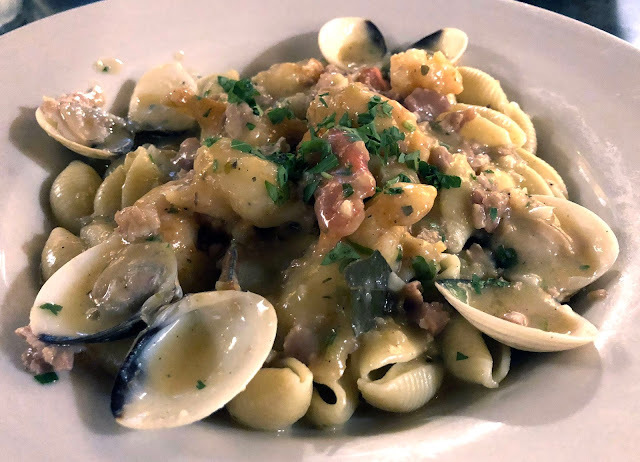 I've been craving linguini and clams for quite some time now, so I was immediately drawn to the Sauteed Scampies Pasta over Seashells in a White Clam Sauce dish. I guess I didn't understand the "over seashells" description meant shell pasta. I had thought it was referencing the clam shells for some reason, so I was surprised to see the dish arrive. Immediately, a fork wasn't cutting it so I had to ask for a large spoon to corral the pasta and seafood. The sauce ended up tasting like bland, thickened chicken stock to me, but at least the clams were plentiful. The most off-putting thing about the dish was the texture of the scampies. They were complete MUSH. I've never had any form of the shrimp family take on that texture before. Perhaps they were butter-poached? We weren't quite sure what was going on, but it wasn't pleasurable to eat. Again, I left quite a bit behind and took no interest in bringing it home. For us, this restaurant was a fail. We had been torn between that and Bruno's, which isn't far away. So, next time we're looking for Italian food not too far from home, we'll be heading to Bruno's instead. Sometimes, you have to literally stop and smell the flowers. And that's just what I did this past weekend. I'm in the midst of event season mayhem at work and I'm flying solo on what is typically a three person team, so it would make sense to stress out and only focus on work. But, over the past year, I've been trying to be better about self-care, and the "new" me tries to make realistic choices for work/life balance. 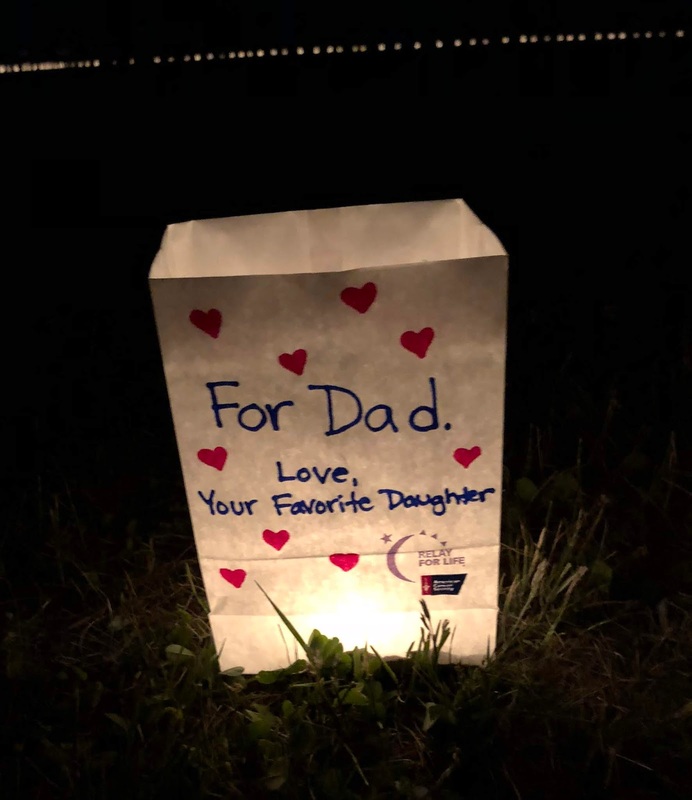 So, instead of managing a huge work event...I headed to NY to be with my family as my dad was the honorary patient speaker at a Relay for Life event. We had a big team, booth full of activities, and raised $9,400 for the American Cancer Society. 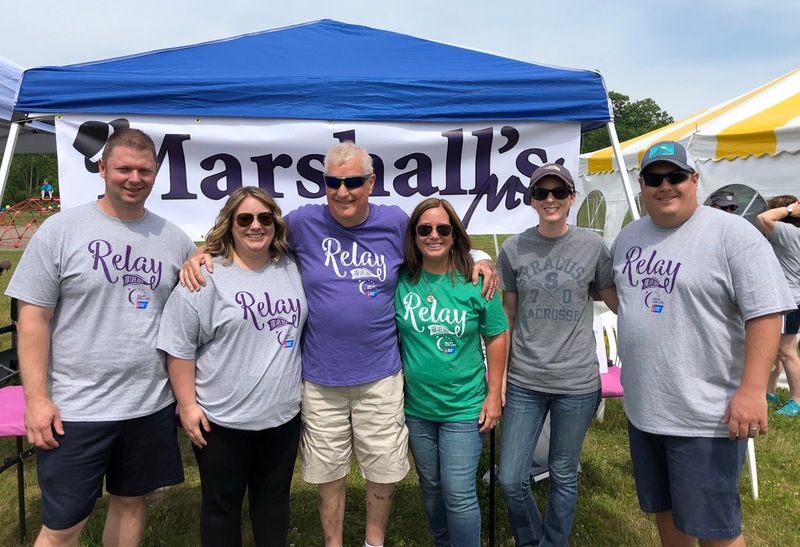 Thank you to everyone that supported our efforts! We did my dad proud, and there was no other place that I'd rather be. I also made a last-minute decision to take a day off of work and stay in NY on Sunday. That meant some homemade fried chicken from the dynamic duo of Mr. H and my brother. 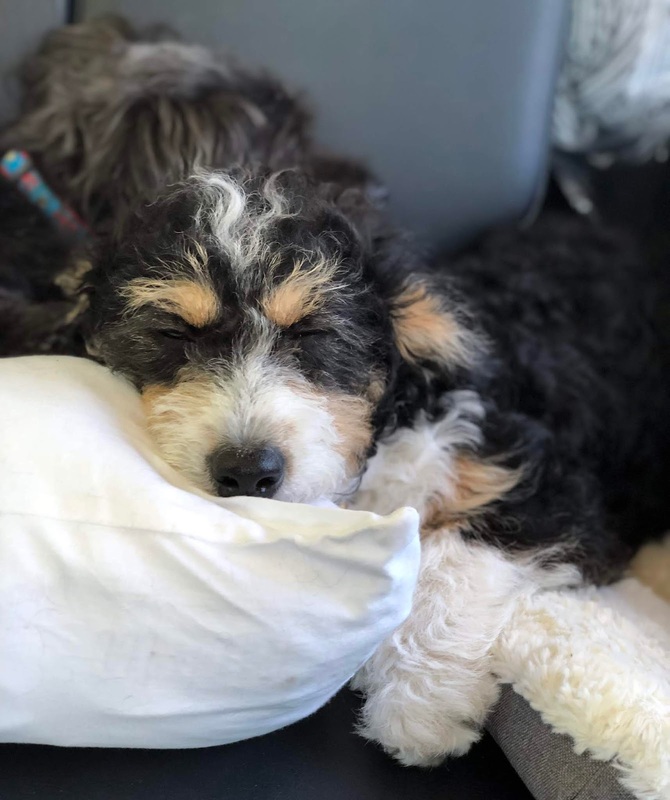 We threw the pups in the car on Monday morning and headed back to Cleveland, all tired but our hearts and bellies full. 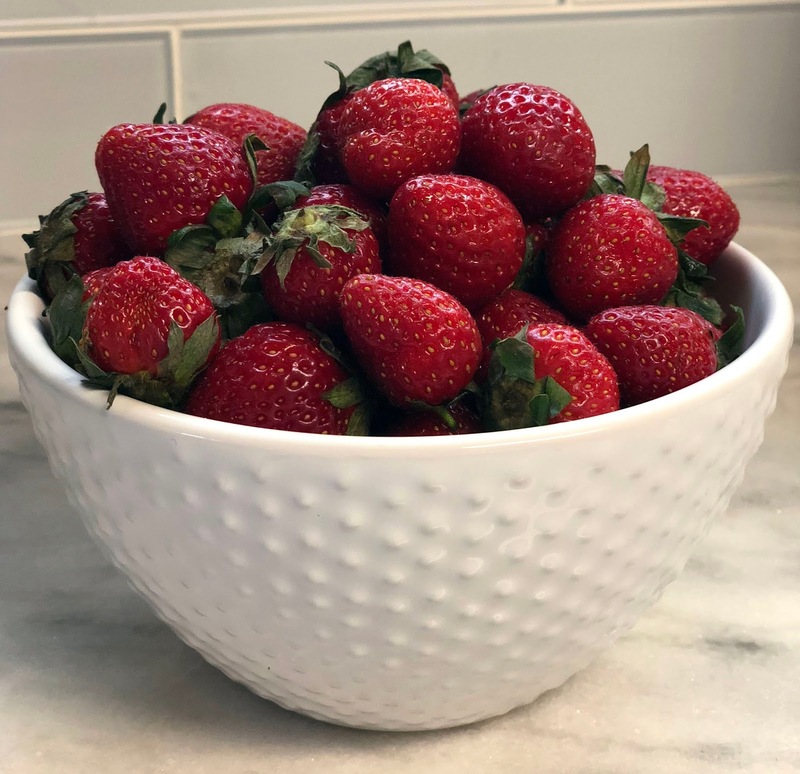 A rest stop farmers market also provided me with my first taste of summer strawberries! One of my favorite sights on our counter this time of year. This past weekend was a "stop and smell the flowers" kind of weekend for me, and it was exactly what I needed. 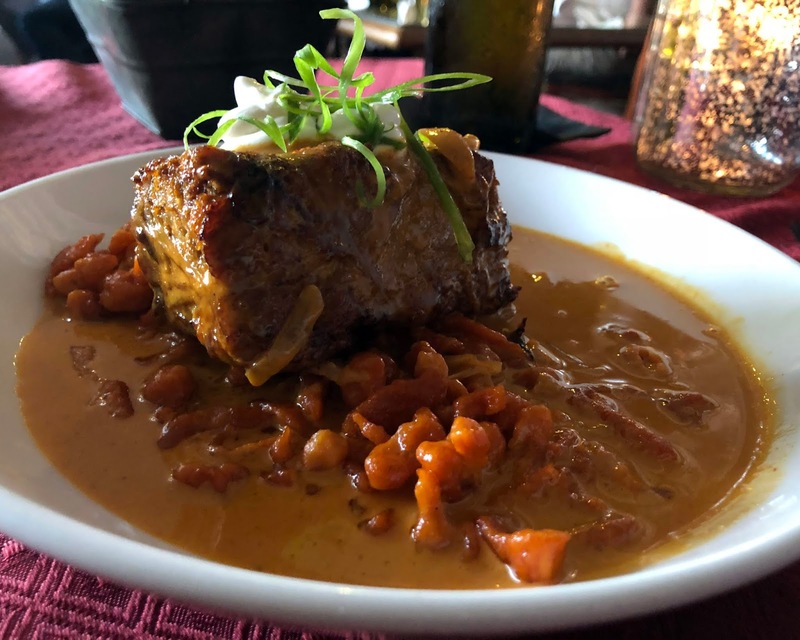 We kicked off Friday with one last reservation at Cork & Cleaver Social Kitchen before they closed their doors on Saturday. Since opening five years ago, it has remained towards the top of my favorite restaurants list. And that's hard to do in this town. So, we went in to get one last fix of classic C&C dishes we'll miss, including the Gnocchi, The Board, and the Chicken Paprikash (pictured below). On Saturday, I had to head to Old Brooklyn Cheese Co. because we were completely out of good cheese at home. The horrors! 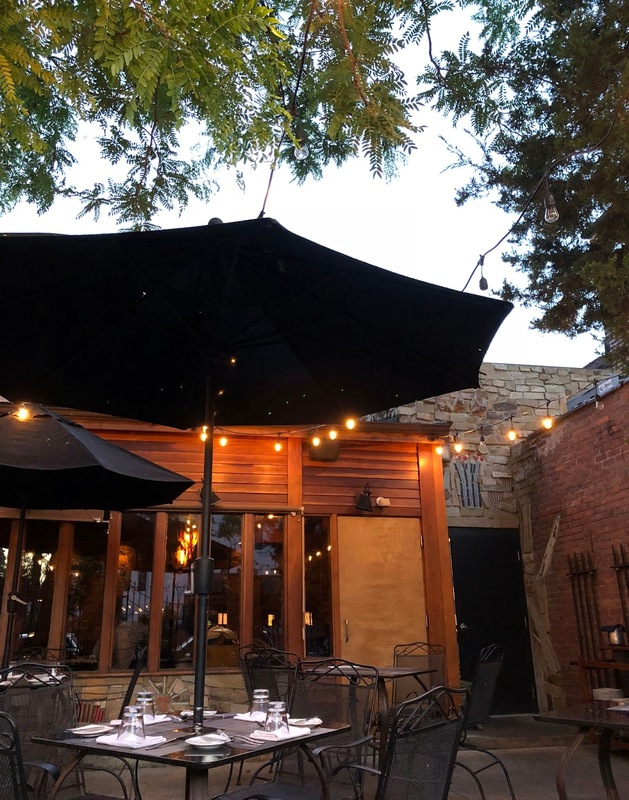 Mr. H and I needed a fun and relaxing date night to look forward to on Saturday, and the weather couldn't have been more perfect for this gal, so we landed on the Dante patio. This garden patio is tucked away, and we were soaking in the crisp air, lights, and sounds. And a delicious bottle of wine! 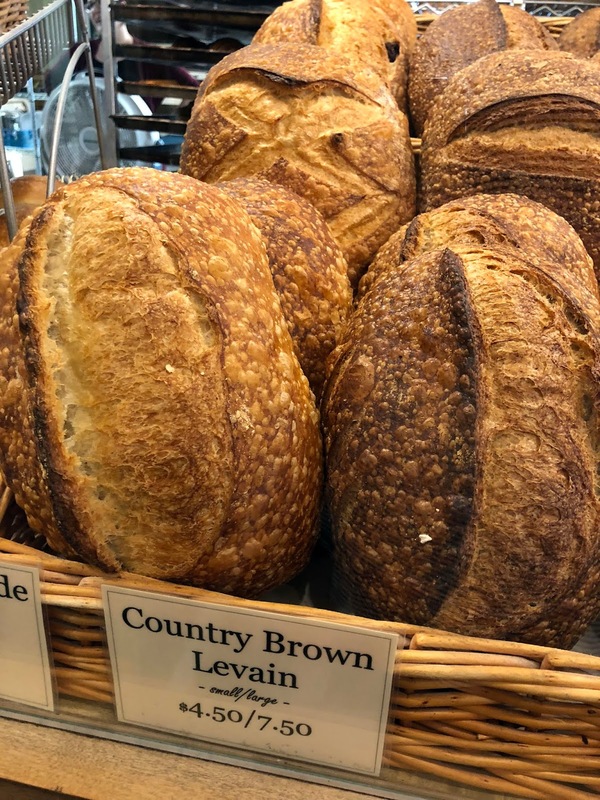 If you've followed this blog for a while, you know that I like to put my trust in the hands in the kitchen and choose a Chef's Menu or Tasting if they have one. Dante is perfect for that, ranging from 5 courses all the way up to 21. We settled in for the five-course tasting. All were very good, but the first and second just blew us away. I also love that each course is the same for both diners, except dessert. You get to try two (if you're nice and share). The rest of the weekend was spent at home. The new pup is becoming quite the outdoors dog, and just loves getting into the dirt and mulch! 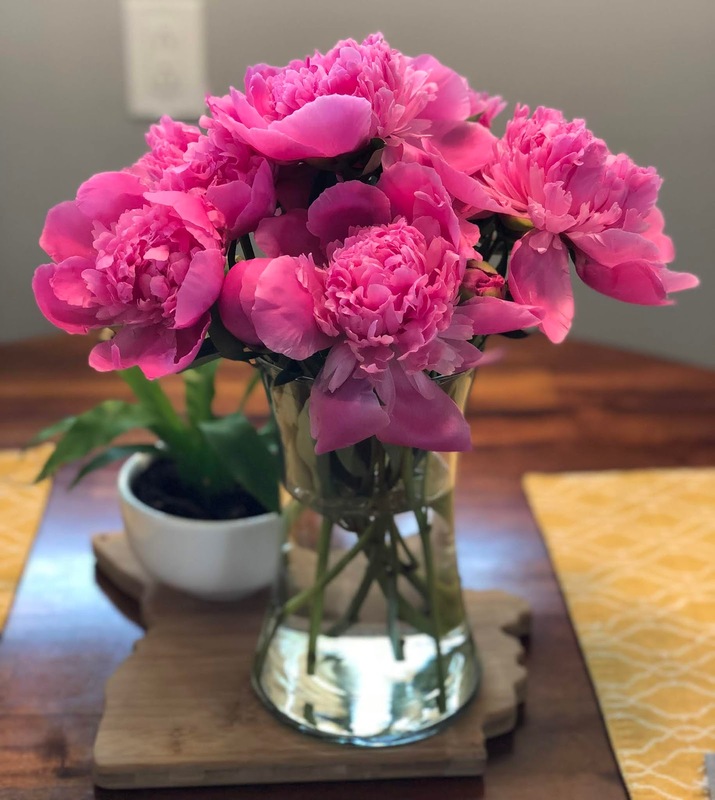 My favorite time of year at Heinen's is when they get fresh peonies in, so you bet that I hurried to a store once they posted that the blooms were in. 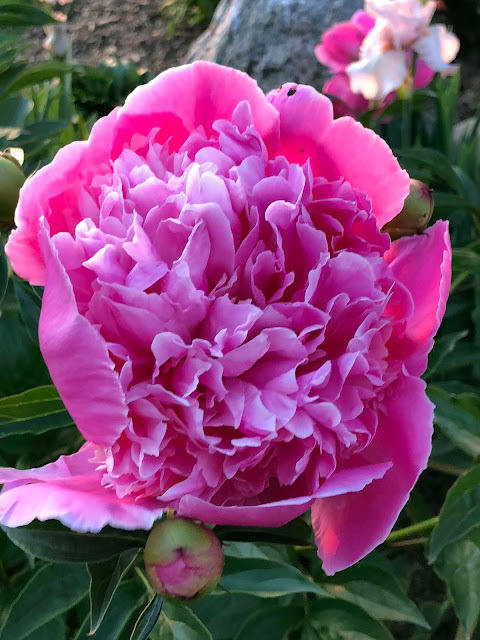 They are gorgeous, and fill the house with the most intoxicating scent. 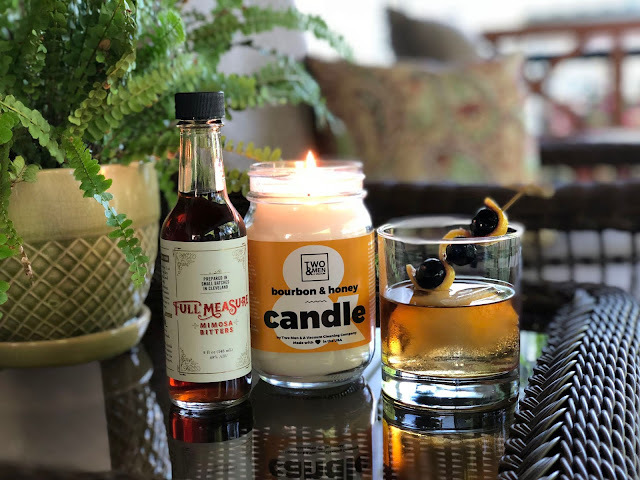 We finished off the weekend on our front porch with some cocktails, and a candle from Two Men & A Vacuum. On top of offering cleaning services, they also have a line of candles, cleaners, and air fresheners. A few of which have food/drink scents, like the Bourbon & Honey that I received. It went well with the bourbon cocktails Mr. H whipped up, using our favorite local bitters from Full Measure Bitters. In a hectic time period for us, this past weekend was just what I needed to refocus and relax. The weather and activities made me fall in love with Cleveland just a little bit more. Disclosure: I received a candle from Two Men & A Vacuum in exchange for social media exposure. All opinions stated are 100% my own.